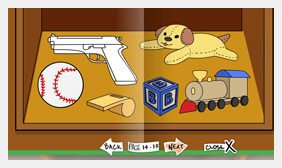 Firearms are becoming increasingly common in the media, and games that are available to our kids. Our course teaches what to do when encountering a firearm. Easy to use and follow along! Three Activity Books to Complete. Pages to Interact With and Colour. Audio along with Captions to Read. 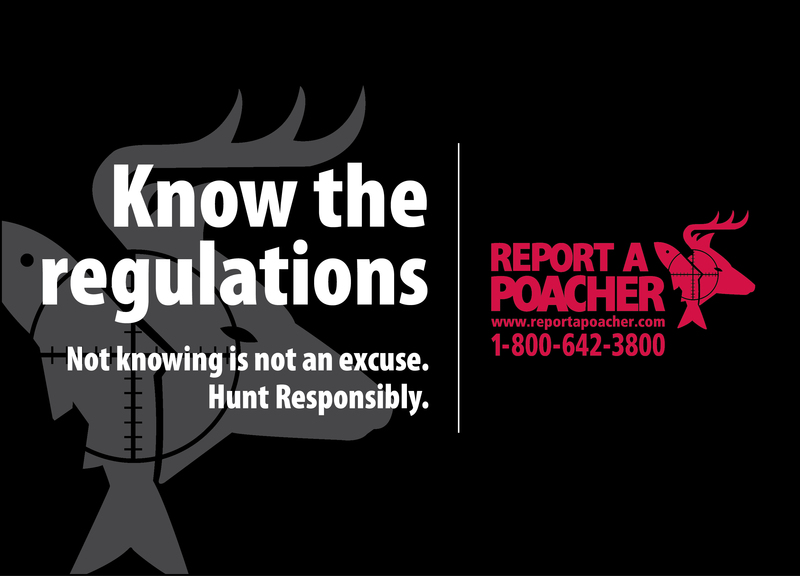 Chances are very good that you or someone you know owns a firearm. They belong to our government leaders, doctors, lawyers, nurses, teachers—virtually all walks of life. If you don’t own a firearm, chances are that one of these people that do is a neighbor. We think it’s vitally important that you and your children know what to do when you encounter a firearm. In our extended firearms training we teach the important concepts of ACTS and PROVE. These words are acronyms that detail a safety plan for firearms. In acts: A stands for assume that the firearm is loaded, C stands for control the muzzle direction at all times, T stands for trigger where we instruct our students to keep their fingers off the trigger and out of the trigger guard and S stands for seeing the firearm is unloaded and proving it is safe. While ACTS and PROVE are tremendous acronyms to guide firearm safety, these concepts are beyond the targetted age group for this program. 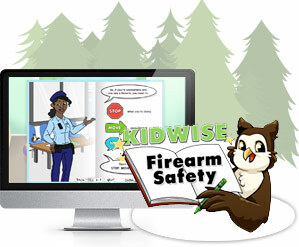 With Kidwise, our goal is to provide a simple, yet effective solution to firearm safety for children that are not yet able to comprehend the vital four ACTS of firearm safety. A fully narrated course with captions to follow along with. 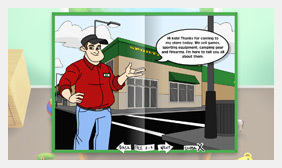 Pages that are interactive with colouring, that also teach important lessons!